There could have been no other winner. IMAGINE A WORLD in which montages didn’t exist? Not only would we miss out on slow-motion running or people exhaling really dramatically as they lift six times their bodyweight, but, crucially, there’d be no realistic way to explain how the movie’s star goes from zero to hero. Sports movie montages can span weeks, months, years even and the really good ones — like the 10 we’ve chosen below — even encourage you to want to go training yourself. But then you bury your head in another large popcorn. Listen to that late-80s synth beat and tell me you don’t like this montage? Fixing results plays a large part in montages, and after this one, Willie Mays Hayes and Jake Taylor combine to beat those blasted Yankees in their one-off play-off game, despite instructions to lose. A Kenny Loggins soundtrack and Sly Stallone. Of course it’s a good montage. Ultimately, Stallone’s character — Lincoln Hawk — wins back his son in an arm wrestling match. As you do. A figure skater with notions meets a down-on-his-luck hockey player and the pair are partnered, becoming an unlikely Olympic figure skating team. It doesn’t have the intensity of the some of the montages on the list but shows that, sometimes, what you learn about yourself is as important as the gains you make in the gym. Or something. Gonna Fly Now… and from the second the horns kick in, you’ll want to put on your tracksuit and hit the streets for a run. The one flaw is that Rocky already appears to be quite accomplished with his training even at the start of the montage. After Muay Thai fighter Tong Po paralyses Kurt Sloane’s brother, Sloane — played by Jean-Claude Van Damme, who made about 28 movies with a similar plotline — vows revenge. After a training montage that sees him being hit quite a bit with sticks and kicking loads of trees, not only does Sloane get the W despite the fight with Po being fixed, but he also knocks out Freddy Li who rigged it in the first place. Cool Runnings features not one, but two different training montages putting it into a different stratosphere than most other sports movies. While the training scene in Jamaica — and the oft-quoted ‘you dead?’ — is played for laughs, this is the sequence that gets our four plucky heroes into the right frame of mind for their Olympic appearance. As this list shows, boxing is the perfect subject for epic training montages and Million Dollar Baby is no exception. Indeed, this one is so good it doesn’t even matter that it’s dubbed into Spanish. The most recent movie on our list, Adonis Creed’s actual workout looks tougher than anything Rocky ever did and this manages to be an homage to the early Rocky training montages without ever bleeding into pastiche. Also, ‘Lord Knows’, by Meek Mill, is an absolute banger, especially mixed in with different versions of older Rocky tunes. 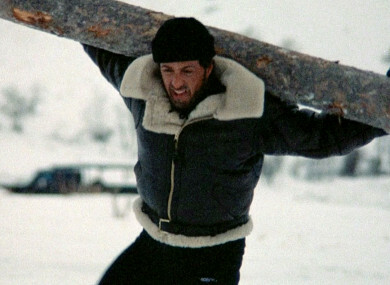 If you’re not running through walls after watching this Herman Boone-inspired training montage it’s your heart that’s made of bricks. It couldn’t have been anything else really. After honing the montage craft in earlier editions, the Rocky franchise perfected it ahead of Rocky’s bout with Ivan Drago. And not only did he win the fight and avenge Apollo Creed’s death, he ended the Cold War too and all to the tune of the brilliant ‘Hearts on Fire’. Email “The 100% accurate and completely definitive guide to the best sports movie montages”. Feedback on “The 100% accurate and completely definitive guide to the best sports movie montages”.